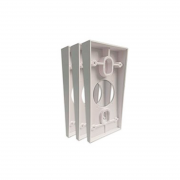 Use the Ring Wedge Kit to mount your Ring Doorbell or Ring Pro flat against angled siding or use the kit to angle your doorbell downward to limit unwanted motion. Use the Ring Wedge Kit to mount your Ring standard doorbell flat against angled siding or use the kit to angle your doorbell downward to limit unwanted motion. 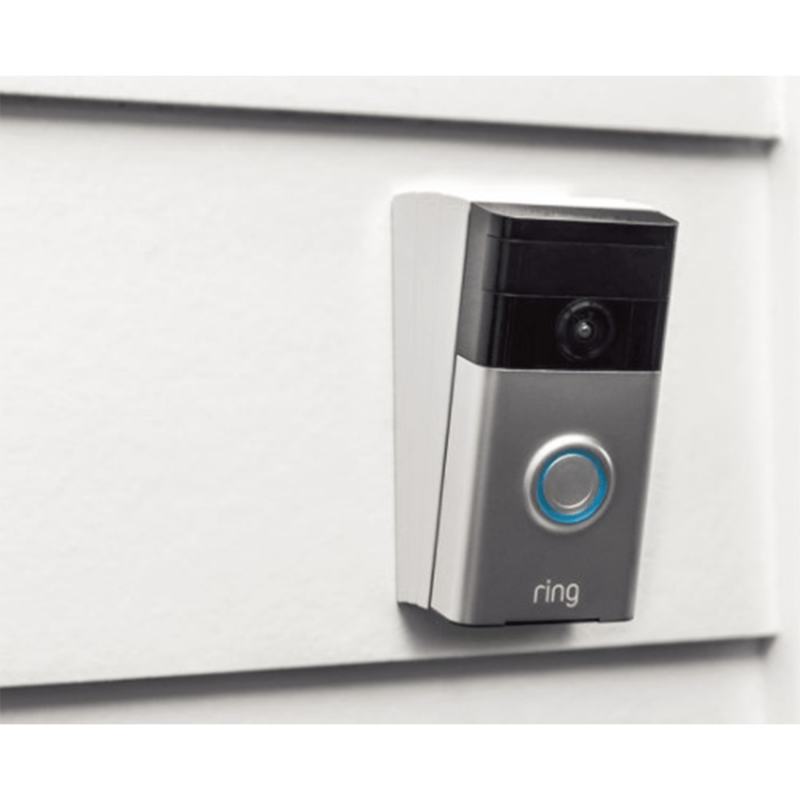 Second, through a network of “PIR” or passive infrared sensors that the Ring Doorbell uses for motion detection. In the illustration below you can see that the motion sensors have a much more focused field-of-view than the camera and that this view is pointed downward to catch motion (as much as possible) within five to 30 feet of the Ring Doorbell and exclude motion sources outside that range. If your house has siding, you’ll need to take the angle of the siding into account when mounting your Ring Video Doorbell. 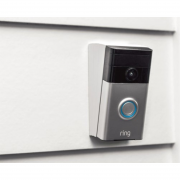 As illustrated below, mounting the Ring Video Doorbell on siding will point the Ring Doorbell up, making it much more likely to catch passing traffic than the heat of visitors. If you mount your Ring Video Doorbell on siding, a wedge kit will properly angle your Ring Doorbell. If your door is above ground level with stairs leading up to it, this can cause your Ring Doorbell to miss visitors walking up your stairs and cause you to get motion alerts from passing traffic.